Having just witnessed the debacle of the so-called interview and search for the truth charade conducted by the Senate in preparation of coming to a vote on whether or not to confirm U.S. Supreme Court Justice nominee Brett Kavanaugh; I am astounded as to what passes as a “credible” witness where certain Senators, media talking heads and political pundits are concerned. In fact, if I hear one more Senator or news media commentator state that complainant Christine Blasey Ford is a “very credible witness,” against the Hon. Judge Kavanaugh, I am going to throw my shoe at the television screen. As a forensic investigator who interviews and/or reviews the statements of witnesses on a daily basis, I know that the credibility of every witness must be determined forensically and not emotionally. When we hear the involved Senators, news media commentators and political pundits opine that they found Ms. Ford to be a “very credible witness,” there is never a probative follow-up question as to how they determine “credibility.” That’s something that you as the viewer should be asking yourself. Credibility comprises both the objective and subjective components of believability of the person making representations regarding the fact pattern of an incident they are describing. However, the most important component of credibility is objective, and that is their truthfulness. The subjective component is the witness’ and audience’s emotional buy-in to the witness’ story. Simply stated, credibility must be forensically and not emotionally determined. Just because a witness represents their story emotionally, in no way infers that their story is accurate or truthful. However, to the untrained, or those with implicit or confirmation biases, it is easy to classify a problematic and/or deceptive witness as “credible.” That’s because the audience wants and/or needs to believe them. The forensic determination of credibility lies in the science and investigative skills of fact finding, evidence collection and the final reconciliation of a witness’ statements against the known circumstances, facts and/or forensic evidence. This reconciliation is then applied to the Rule of Law and our legal criminal or civil standards of proof depending on the jurisdiction which are reasonable suspicion, probable cause, guilt beyond a reasonable doubt and/or a preponderance of evidence. Forensic investigators are not involved in the standard of guilt beyond a reasonable doubt because this is the jurisdiction of the trier of fact which are judges and juries. For the forensic investigator and truth seekers, the challenges of determining a witness’ credibility lie in their ability to focus solely on an advocacy to uncover forensic facts and evidence, no matter where that evidence takes them. Their mentality must be completely free of implicit or confirmation biases, misplaced “victim” advocacy, and political motivation. Implicit bias – Also known as “implicit social cognition,” refers to the attitudes or stereotypes that affect our understanding, actions, and decision in an unconscious manner. Examples of implicit bias in the Senate confirmation hearing for Judge Kavanaugh are many. He’s a Republican nominee of President Trump; he’s perceived by Democrats and the left as anti-abortion; he’s been portrayed as a sexual assailant; and a number of Democrat senators have already publicly stated that there is absolutely no way they would vote to confirm him. Confirmation bias – Also referred to as “confirmatory or myside bias,” refers to the tendency to search for, favor and/or interpret information in a way that confirms one’s preexisting beliefs or theories. This is certainly where the body politic lies where we observe how the Senate confirmation hearings have been disgracefully conducted to date. So how can we forensically determine the “credibility” of Dr. Ford and Judge Kavanaugh? Well, despite all of the political and media commentator and so-called expert commentary and posturing, it’s really not all that hard to do. Let’s consider our legal standards again. “Reasonable suspicion,” is generally defined as specific, articulable circumstances, statements, facts and forensic evidence that suggests that a crime may have occurred and a person had some relationship to it. “Probable cause,” is generally defined as specific, articulable circumstances, statements, facts and forensic evidence that suggests that a person committed a crime. In the immediate case, complainant Christine Ford is unable to recall many of the specifics of her alleged sexual encounter between herself and Judge Kavanaugh over thirty-five years ago. Specifically, she cannot recall the date, location, how she arrived at the location and how she left the location that evening. She has been hazy, confused, and inaccurate about who else was at the alleged party. Those few people whom she has identified have denied they were there or have no memory of the party. Next, this supposed singular incident in her life was apparently so traumatic and memorable that she repressed discussing it until 2012 when she told her therapist about it. Except, she never identified Brett Kavanaugh as her alleged assailant and provided completely different details regarding who was present at the time than she provided yesterday. Forensically, there is no physical evidence documenting Dr. Ford’s claims. There is not one single person she has identified who supports her story. Before identifying herself to (D) Senator Diane Feinstein, she conveniently had her high school year book and all of her social media scrubbed of any references to her high school drinking and partying activities. This is evidence of what investigators refer to as a “consciousness of guilt” that must be resolved. Dr. Ford has admitted to one of her closest high school girlfriends that she had over fifty intimate relationships with boys before attending college. She has bragged socially about focusing upon meeting and partying with boys attending the prep school that Brett Kavanaugh attended. She was challenged on none of this information during the Senate hearing. The reconciliation of witness statements is critical in the determination of credibility. Dr. Ford’s case and claims are unique because in cases where complainants represent themselves as “victims,” it is relatively rare for investigators to find literally nothing that supports or verifies her story. Nothing! If there is nothing that supports Dr. Ford’s claims against Judge Kavanaugh and truthfulness is the primary component of credibility; then how can anyone assert that she is “credible?” As Judge Kavanaugh aptly stated during the hearing, he’s not arguing that Dr. Ford was victimized sometime in her past. He’s simply asserting that he wasn’t her assailant. As Senators from both sides have reminded us, this is not a criminal “trial,” even though it would appear to be one – only absent due process and our constitutionally guaranteed presumption of innocence for Judge Kavanaugh. Therefore, the criminal legal standards of probable cause wouldn’t apply. 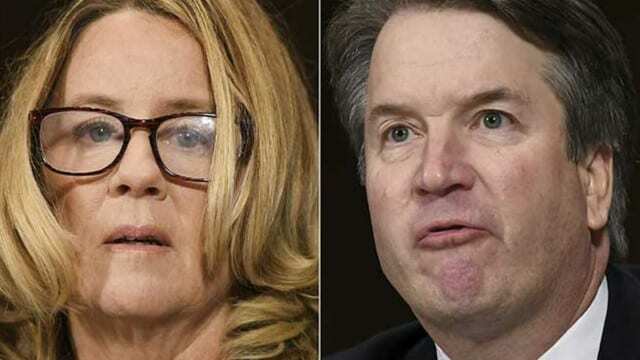 However, in view of the complete lack evidence and the statements of eye-witnesses supporting Dr. Ford’s account, her representations as to what she believes occurred over thirty-five years ago wouldn’t even amount to the lowest legal standard of proof which is reasonable suspicion that any crime was committed upon her by Judge Kavanaugh. Further, since the Senate confirmation hearing is similar to a civil administrative hearing; since Dr. Ford’s claims against Judge Kavanaugh are completely lacking in evidence and witness support; she has not even met the legal civil burden of proof of a preponderance of evidence which requires facts and evidence more than fifty-one percent. Finally, in our system of criminal and civil justice, it is the accuser and her supporters who must prove their case; not Judge Kavanaugh. Think of the bizarre circumstances of this case. The alleged injured complainant who is an avowed anti-Trump activist, is so aggrieved by the trauma she endured that she waits decades to make a complaint, just in time for the Senate confirmation of a President Trump nominee to the U.S. Supreme Court. She somehow obtains legal counsel and somehow gets funding for a polygraph examiner before anonymously identifying herself as a “victim” to a democratic activist resist Trump Senator. Yet, Dr. Ford could not say where this funding came from and she was never pressed on the issue. The temporal relationship is this claim cannot be over-looked by investigators. It speaks to the “means, motive and opportunity” that all trained forensic investigators are trained to notice. So, let’s all be more careful when we speculate that a witness like Dr. Christine Blasey Ford is a “credible” witness because professionals like me who investigate these alleged crimes and allegations don’t see it.